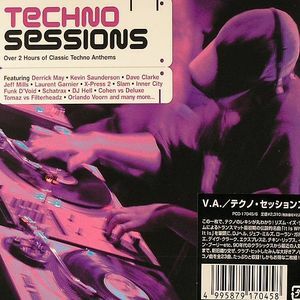 VARIOUS Techno Sessions (2 Hours Of Classic Techno Anthems) vinyl at Juno Records. 1. E Dancer - "Velocity Funk"
3. X Press 2 - "Muzikizum"
4. Jeff Mills - "Automatic"
5. Chicken Lips - "He Not In"
6. Slam - "Positive Education"
7. DJ Hell - "Berimbau"
8. Agoria - "All I Need"
9. Gary Martin - "Subterranean Substance"
10. Phi Kieran - "My House"
11. 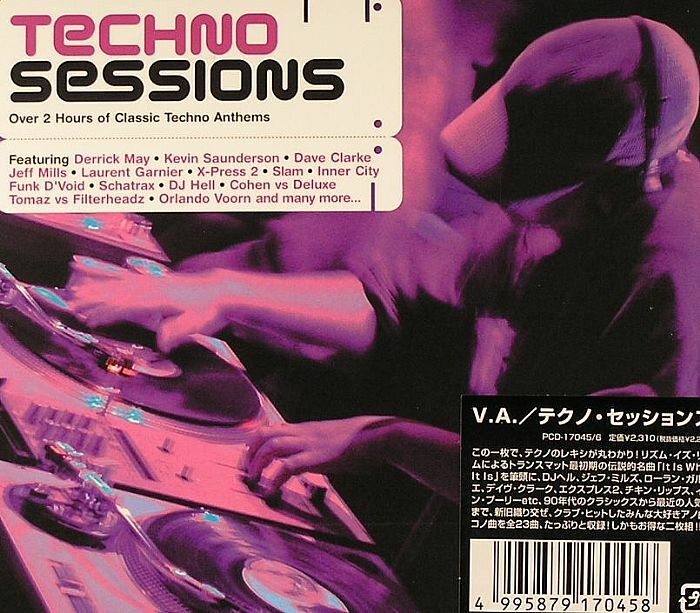 Laurent Garnier - "The Man With The Red Face"
1. Rhythim Is Rhythim - "It Is What It Is"
3. Schatrax - "Mispent Years"
5. Dave Clarke - "The Wiggle"
6. Orlando Voorn presents The Stalker - "Blast"
8. Tomaz vs Filterheadz - "Lazy People"
9. Sleepwalker - "Open My Head"
10. Bryan Zentz - "D Clash"
11. Carl Taylor - "Exile"